Spring has finally arrived in St. Louis! As nature begins to bare its colors, the sweet March breeze carries us into annual Earth Day festivities, where the entire month of April signifies celebratory gatherings in honor of the 30th Anniversary St. Louis Earth Day. The Festival takes place on Muny Grounds in Forest Park on April 27th and 28th, from 11am to 5pm. Thousands gather ecstatically to experience the food, music, and activities influencing the progress of our planet’s preservation. Welcoming all to grow their education on sustainable products and services, and healthier living. Live music is performed by various local artists on our Main Stage, located in the Earth Day Cafe if you’d like to grab a bite to eat from our many food vendors and listen to some tunes. All festival food vendors are required to be certified by the Green Dining Alliance as “green” restaurants. This means that they emphasize the reduction, recycling, and composting of waste within their restaurant. Other activities include free yoga, home gardening seminars, and numerous activities for children and youth. Festival attendees are encouraged to take the #EarthDayChallenge that is comprised of three main components: carrying a reusable bag and refillable water bottle with you to avoid using disposables, using energy efficient transportation, and incorporating more plant-based meals into your diet. We hope that you may also implement these components into your everyday life, as they can drastically reduce your personal impact on the environment. Those who take the challenge, can choose from a selection of prizes. Earth Month kicks off with Recycling Extravaganza on April 7, 10am to 2pm, in the parking lot of St. Louis Community College-Forest Park Campus. The event is free to the community, although for some electronics recycling there may be a nominal fee for CRT-types TVs. Feel free to make REX your one-stop shop to responsibly recycle not only electronics, but carpeting, medications, mardi gras beads, clothing and more. In 2018, we collected over 38 tons from 800 vehicles in just four hours. This year, there will be nearly 20 collectors, that in conjunction to their collecting, exhibit various social missions. A full list of these collectors and items they will be collecting is available online. The second annual St. Louis Earth Day Film Series will also take place throughout the month of April. Diverse venues within the St. Louis metro area bestow free screenings of environmentally themed documentaries that allow all to learn about environmental issues and how to get involved. The schedule for these screenings can be found online at earthday-365.org. If your group would like to screen a film, there is still time to add it to the lineup! Contact laura@stlouisearthday.org to register a screening. 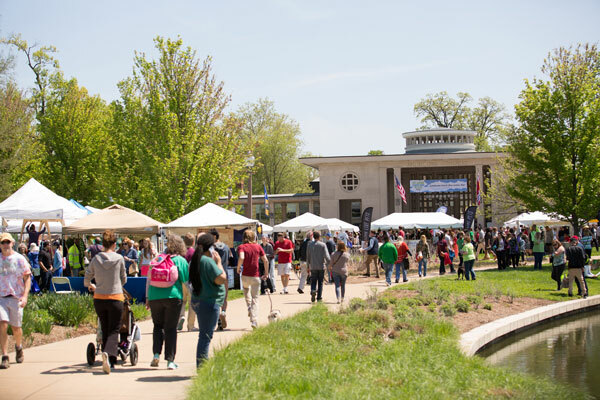 The 30th Annual St. Louis Earth Day Festival is brought to you by earthday365 and is sponsored by the Centene Charitable Foundation, Subaru, Missouri American Water, Metro Transit, and Green2Go. Information about all of the Earth Day activities and events is available online at our website earthday-365.org. This entry was posted on Saturday, March 30th, 2019 at 5:47 pm and is filed under April 2019. You can follow any responses to this entry through the RSS 2.0 feed. Responses are currently closed, but you can trackback from your own site.